Philipp Kohlschreiber’s nightmare start to the 2018 season continued as he crashed out in the second round of the Dubai Duty Free Championships on Wednesday. The German veteran, once ranked No. 16 in the world, squandered a one-set advantage to lose 6-4 3-6 4-6 to American rising star Stefanos Tsitsipas. 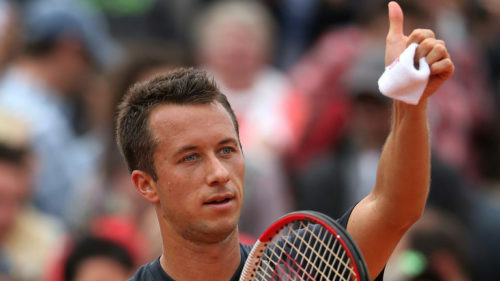 This was Kohlschreiber’s fifth defeat out of the seven matches played this year. The frustration of going through a rough patch was evident as he banged his racket – not once… not twice… but thrice – en route the one-hour 47-minute battle. Meanwhile, the 19-year-old Tsitsipas is scheduled to lock horns with Tunisia’s Malek Jaziri for a place in the semi-finals.